Buy 3 for USD9.95 each only! This item includes all component as shown in the image(except cable). 1) Two individual rail Classic 78xx regulator. Each rail include four 1A 1N4007 diode in full bridge rectifier configuration for AC input or DC input. 2b. Output protection diode is included on the PCB. 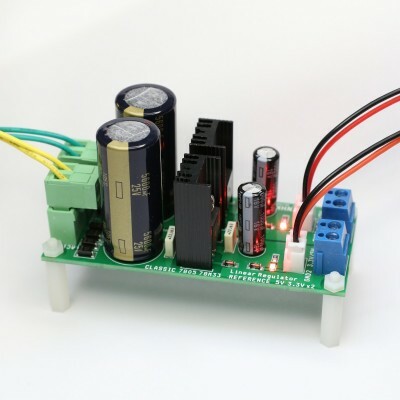 1) Double check the polarity of the large capacitor is correct before connect AC power input to the PCB, the capacitor will explode immediately if it is reversed connected. No return is accepted after the pcb is soldered.